Christian Ulf-Hansen, founder of Plan C Management, TV and Film production company, Big Feat Films and label Telescopic Baby will give a speech at rASiA.com Forum at the «Content and entertainment industry» conference. 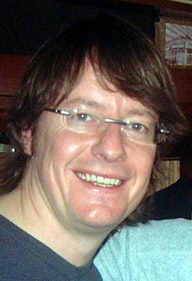 Ulf-Hansen started his career in PRS (the Performing Right Society), worked his way up to become Membership Representative, the focal business and creative liaison person for PRS for songwriters and publishers and representing the company to the music business in general, and being responsible for major overhauling of PRS‘s reputation amongst the business. In 1992 he was headhunted by the US organization BMI (Broadcast Music Inc) with a more International role, responsible for Europe. Then he created his Plan C Management that engaged in competition with such majors as Universal.